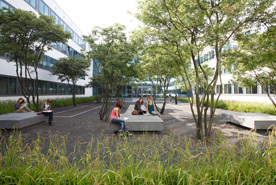 In Germany, there are two semesters: the winter semester starts in October and the summer semester starts in April. Each semester consists of a lecture period, i.e. the period in which courses are taught and a semester break, which can be used to write term papers. Click on dates and deadlines for the exact times. If you are interested in completing your degree in Mainz, the International Office can provide you with all relevant application information for studying at the Johannes Gutenberg University. It is very important to participate in the Orientation Days that take place right before the beginning of each semester (October for the winter semester and April for the summer semester). We highly advise planning your arrival to coincide with the orientation days. Each subject hosts a subject-specific introductory event for new students. At these events, you will receive information on course sequences, content and topics, as well as organization. It is common for relevant contact persons to introduce themselves at these events as well. These events take place during induction week (the week prior to the beginning of the new semester) and we highly recommend taking part in as many as possible. During induction week, the departmental advisors offer additional office hours. The student councils are also more than willing to help you get started in Mainz. PHILIS offers open office hours for all international students during induction week (the week prior to the beginning of the semester). We answer questions, provide information on offices, contact persons and documents, and are there to support you on your path to a successful semester. The PHILIS office is in the Philosophicum, room number 00-224, right next to the cafeteria (map). Once you have received your documents, such as the regional transit ticket and your matriculation certificates, you can activate your Centre of Data Processing (ZDV) account. This account is very important as you should send all emails related to the University of Mainz from this account. The account also plays an important role for the online portal Jogustine, where you can register for modules, courses and exams. Information on how to use Jogustine and where to find help has been compiled on the Jogustine info page. It is essential that international students whose goal is to finish their degree at the JGU read the subject-specific appendix to their examination regulations or talk to someone in their subject (e.g. during the introductory events or during office hours to the departmental advisors) in order to find out which courses to attend in the first Semester. If you need details on courses that are taught each semester, visit the Jogustine online portal. Simply click on the current semester, followed by Faculty 05 and your subject. Then, you should be able to choose between the various types of courses. Lecture = Course in which the teacher presents a certain topic in context; students are required to take notes. Preparatory seminar = Course that introduces the fundamentals of a subject and in which student are required to actively participate. Practice class = Course in which knowledge and skills are applied by the students. Students actively participate. Seminar = Course in which students and teachers develop and discuss themes and topics together. Students actively participate. Main seminar = Course for advanced students in which students and teachers develop and discuss themes and topics together. Students actively participate. Jogustine lists the course title and teacher, the description of topics/themes, the goals as well as all class dates. Most courses are scheduled for the entire semester and are held for two academic hours each week (SWS). Two academic hours per week means that the course is a total of 90 minutes long. Students are required to register for modules and courses on Jogustine during the registration periods using their activated Centre of Data Processing (ZDV) account. 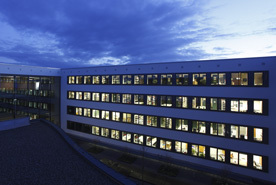 Detailed information on studying in Mainz can be found here. If you would like to be assigned a personal contact person for the entire first semester, to answer questions about organization and degree programs and courses, all you need to do is come to the inFORM tutorial! We wish you a successful time at the University of Mainz! 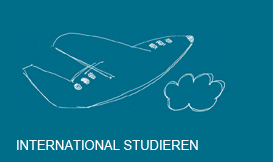 The Faculty 05 offers its international students tutorials on scientific work and studying in Mainz. All international students, including exchange students, are welcome. Registration is now open. For more information on the tutorial and registration, please click here.